A bank investing in a security system justifies spending a portion of its assets in such a manner based on the notion said bank is a fiduciary protecting the funds it holds. Similarly, pension funds, foundations, and corporations – if convinced of the significance of sustainability – justify spending assets on mitigation of climate change or actions such as divestment of holdings as a means to avert economic disaster. If an investment manager is convinced that the actions of one of his/her portfolio companies will have adverse economic consequences on the rest of the portfolio, fiduciary duty mandates that manager to take any and all actions necessary to prevent such negative externalities from occurring. Yet, for one reason or another, this concept remains dismissed on a wide scale. Environmental Social and Governance (ESG) Investing is broadly defined as the consideration of environmental, social, and governance aspects of a company in the investment selection process. The fact of the matter is that the manner in which companies consider society and the environment undeniably affects long-term performance. Why is ESG investing so slow to reach mainstream? Among other catalysts, a catastrophic misinterpretation of fiduciary duty. Derived in the 1600’s from the Latin word, fīdūciārius – something held in trust – fiduciary duty, sometimes termed fiduciary responsibility, has been fully integrated into both law and business today. In the investing arena, fiduciary duty exists to ensure money managers act in the interest of beneficiaries rather than pursuing selfish interests. Those charged with fiduciary duty are unable or unwilling to sacrifice return for social or other peripheral factors and will switch mandates given suboptimal performance. Yet, those charged with fiduciary duty have a responsibility to consider any social, environmental, or governance issues that lead to economic consequences. Is fiduciary duty an excuse for those who do not want to adhere to ESG investing? “It is a refuge for people who do not want to see ESG put into investments, but it does not need to be. One crazy notion concerning investment in areas like sustainable infrastructure is that if the private sector isn’t involved then there cannot be a financial argument for long-term public sector investors to be putting their money there: it’s nonsense.” – Jay Youngdahl, Trustee for Middletown Works VEBA fund and Partner at law firm, Youngdahl & Citti. What this really comes down to is an unfortunate erroneous perception of a tradeoff between impact and return. If fiduciaries are charged with earning the highest return per unit of risk, and those very fiduciaries are citing their duties as reason for avoiding ESG, one can only conclude that those fiduciaries must believe ESG investing will result in suboptimal return. If only they knew how very wrong they are. There can certainly be a trade-off between impact and return. Often times there is. But there does not have to be, and this is where the misconception lies. California Public Employees Retirement System, (CalPERS) is the largest public pension fund in the United States, with assets amounting to $295.8 billion, as of December 31, 2014, providing retirement benefits to over 1.6 million members, and their families. As such, CalPERS has long been a leader in the public pension fund investing arena, often paving the way and setting trends for other institutional investors. We can applaud this institution’s efforts towards, and recognition of the importance of, ESG. I could tell you why ESG investing is important, but why not hear it from the billion-dollar investors themselves? “The concept of sustainability is grounded in economics and the understanding that long-term value creation requires effective management of three forms of capital — financial, physical, and human. This gives us an interest in environmental, social, and governance factors — commonly referred to as ESG. The potential impact of ESG factors on risk and return is complex and varies by sector, geography, and time period. We have a longstanding commitment to ESG issues and a proud history of leadership and innovation in the field. Financial Capital: why governance matters: Good corporate governance is vital to ensuring an alignment of interest between a company’s management and its shareholders. Physical Capital: why the environment matters: Companies rely upon inputs from the physical environment like natural resources such as water. They also have an impact on the physical environment. The passage of time has lead to the evolution of investment philosophy, an expansion of the definition of materiality, new methods of asset allocation, and increased shareholder activism. Why has the definition of fiduciary duty remained stagnant? Some wise first-movers have recognized the need. In 2010, Silicon titan Intel amended its charter to include mandatory reporting on “corporate responsibility and sustainability performance”. Notably, this amendment altered the duties of the Governance and Nominating Committee to include reports to the Board regarding matters of corporate responsibility and sustainability performance. 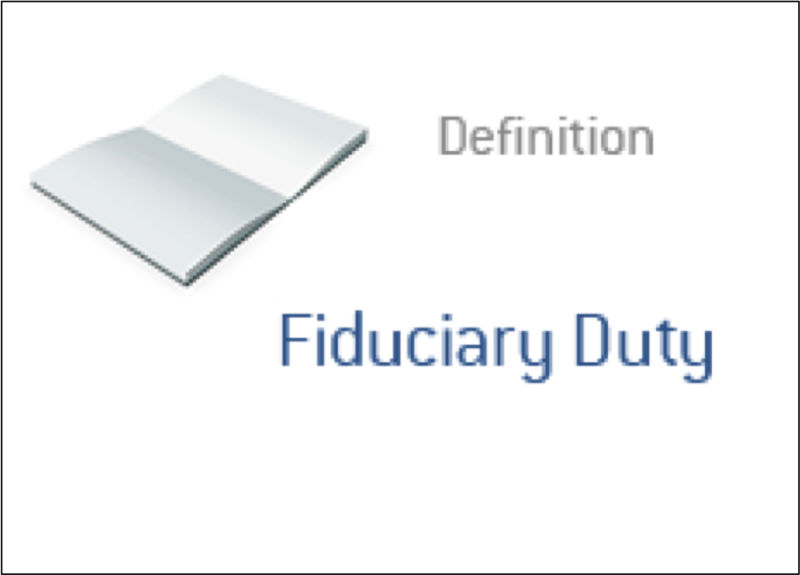 Perhaps changing the definition of fiduciary duty is arduous. After all, the concept has governed investing for centuries. There is a separate argument to be made. The existing definition of fiduciary duty allows – in fact, mandates – plan sponsors to adhere to ESG. Suppose you believe that climate change is going to cause the end of the world. Now, further suppose that one of the companies in your portfolio is emitting carbon at an alarming rate, causing massive deforestation, and polluting like theres no tomorrow. One company owned in the portfolio may very plausibly affect the value of your other holdings due to negative externalities. If you hold this view, you might be willing to spend money and/or take other action to avert climate change in order to positively affect the value of all the holdings in the portfolio. Plan sponsors can, and should be, considering environmental, social, and governance aspects of a company. Here’s the thing. Shareholder activism has true potential to ignite change within a corporation. The amending of Intel’s corporate charter was nudged to life by social responsible investing firm, Harrington Investments. A few months prior to the official amendment, Harrington presented a shareholder resolution to create a Board of Directors Committee on Sustainability at Intel. What is a shareholder resolution? Put simply, an attempt to change corporate behavior in the form of proposals put forth by shareholders. Yes, many go straight to the paper shredder. 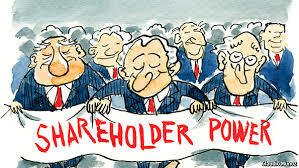 However, if a shareholder resolution is placed on the proxy ballot, shareholders are given a period of time to discuss the resolution at the annual shareholder meeting, and importantly, voice the issue to millions of shareholders through the proxy. Shareholder resolutions have become a valid means to guide corporate behavior. Best Buy’s non-profit As You Sow Foundation is the direct consequence of a shareholder resolution. Denny’s now uses cage-free eggs. Pepsi is being criticized for recycling. ExxonMobil has been nudged by shareholders to develop alternative energy sources. A note to shareholders: your voice matters. Featured Photograph by Inaki Bolumburu. Interesting post! Perhaps we should be more aggressive with shareholder votes.